Before the lifts are open for the winter season proper there’s still loads to do. This is us with friends and family snowshoe trekking on the col de L’Encrenaz overlooking the Roc D’Enfer. You can see how much snow there is already, some of the lifts are already open at teh weekend and parts of Avoriaz are already bashed and ready to run. Coming down was fun in the powder, kind of a cross between floating and running. 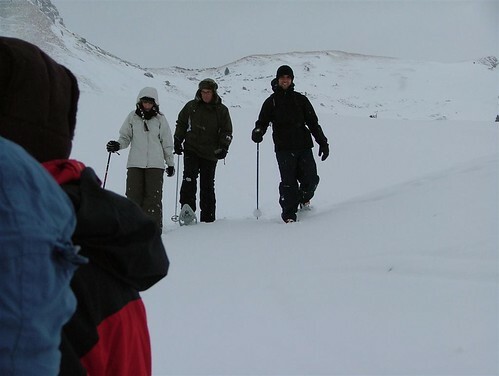 The snowshoes are really easy to use, they look like they could be a complete nightmare but once you get into a strid and adjust to them it really is as easy as walking normally. Making your own tracks helps a lot as there aren’t patches of compacted snow to make the shoe sit unevenly. 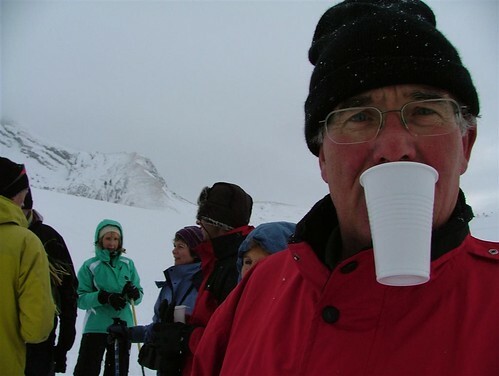 Our guide very kindly brought vin chaud along with him, some had more than others! 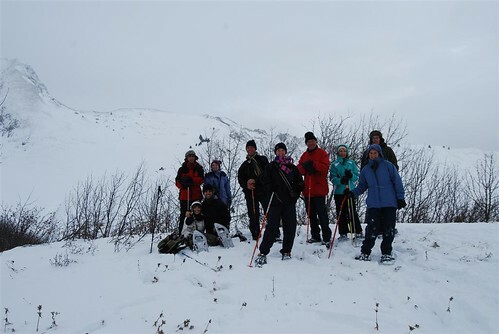 Motley crew, me and Kate are sitting down becasue we can’t figure out how to stand back up whilst wearing the snow shoes! 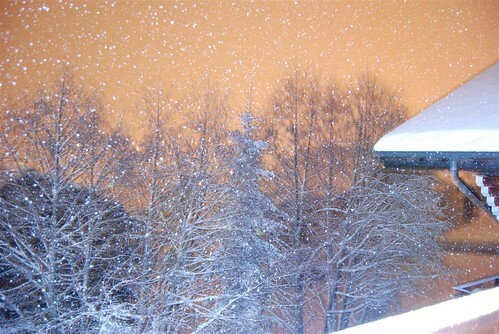 Later on that evening, more powder and the lifts only open at the weekend!! Must buy split snowboard and skins for next season!